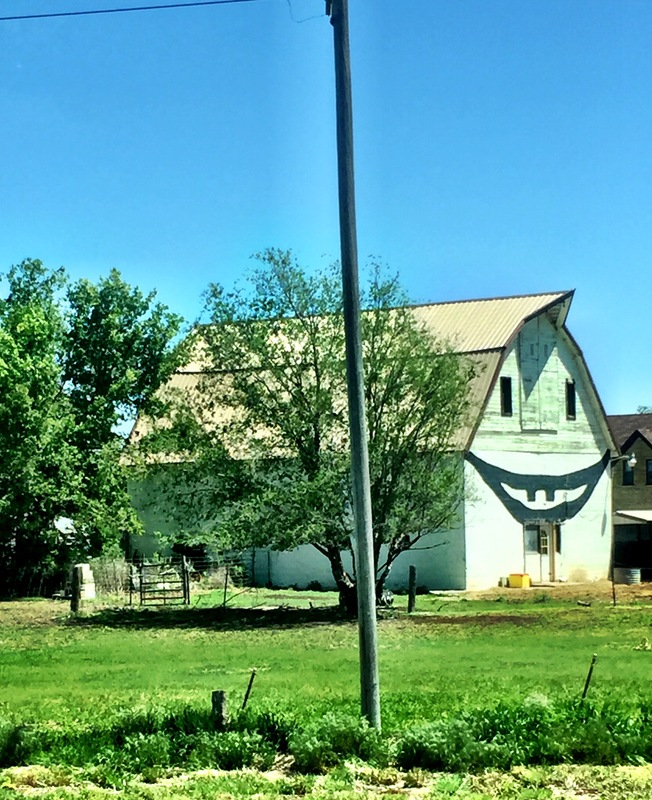 Kansas – wheat, wheat, wheat – everywhere! 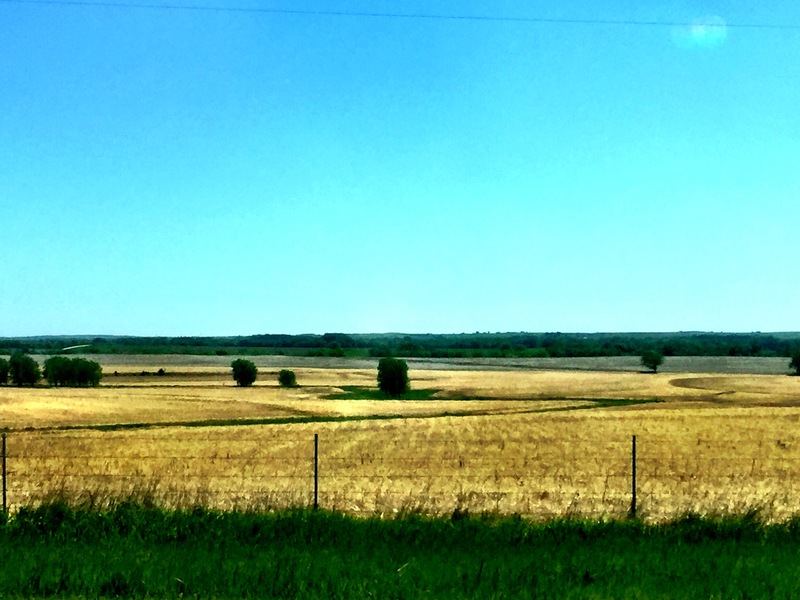 Flat green fields of wheat – many different types – are everywhere as you drive into Kansas from Oklahoma. It’s the most amazing land for its rich agriculture nature – farms – large, small – corporate and family owned predominate. You can see for miles as you drive north towards Topeka. We have never see land like this so we snap photos the whole way. 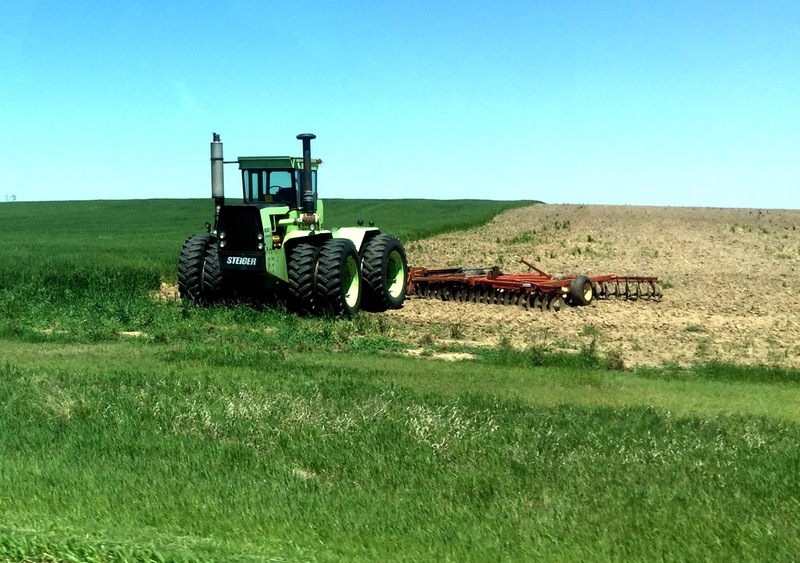 You share the road with all sizes and types of farm equipment – we love trying to figure out what each piece does. 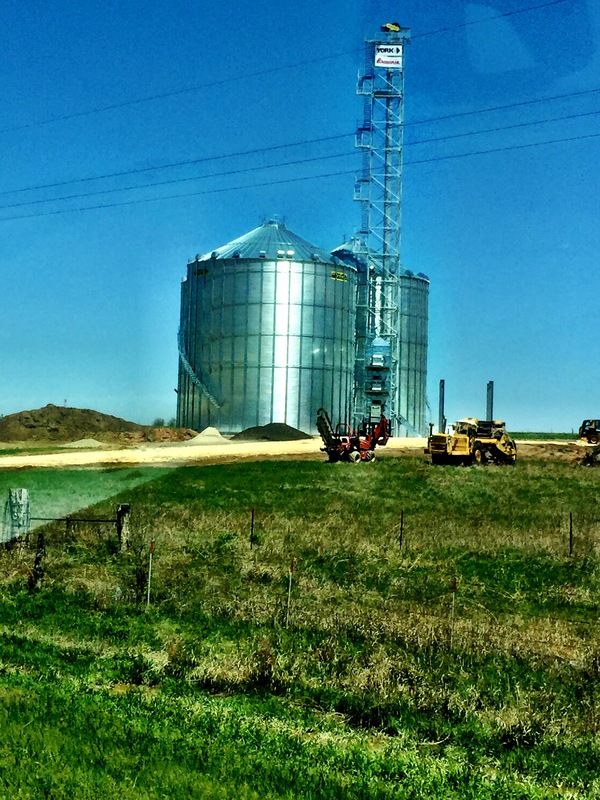 Grain elevators or silos as we might call them dot the landscape – most newer manufactured from shiny aluminum with complex machinery to handle product storage and transfer. Railroads are a significant element here – used to transfer harvested products. Waves of grains for miles…..
Storing grain requires hard work and science. Tractors, combines, watering vehicles – all colors – all sizes. According to Google, one out of every four bushels of wheat consumed in USA is from Kansas – and we passed the fields where it grows. Less is being grown this year due to depressed prices last few years – durum wheats are more popular than those used for breads – pasta products being very popular & driving that choice. Variety in planting helps farmers weather market fluctuations. Our appreciation and respect for the hard work required to make any success here grew every mile. Every time you eat pasta, toast or cereal – thank a farmer! We do need to add a weather note – we did not experience any tornadoes watches but had several tornado warnings – a few severe thunderstorms. But we are ever mindful of the Mother Nature’s power and we take care to monitor all weather station apps and pay attention to their alerts. Next PostNext St Charles, Missouri – the Tour starts here!